An Air India Express Boeing 737 has landed safely four hours after it struck runway equipment on takeoff at Tiruchirappalli Airport. The aircraft, 737-800 VT-AYD, was operating flight IX611 from Tiruchirappalli (also known as Trichy) to Dubai on October 12 when it came into contact with the airport perimeter wall and the runway localiser antenna. “After flight IX611 from Trichy to Dubai had taken off from Trichy at about 1.30AM today it was reported by local airport officials at Trichy, that they have observed that aircraft might have come in contact with the airport perimeter wall,” Air India Express said in a statement. “The matter was conveyed to the pilot in command. The pilot in command reported the aircraft systems were operating normally. The aircraft, which had 130 passengers and six crew on board, landed safely at about 0535 local time, some four hours after it took off from Tiruchirappalli. There were no injuries and the passengers continued their journey to Mumbai on another aircraft. Images posted to social media by Economics India journalist Tarun Shukla showed significant damage to the aircraft belly and the horizontal stabilizer. The localiser and airport perimeter wall were about 150m from the end of the runway, with the wall about 1.5m high. Respected accident investigations website The Aviation Herald noted the aircraft continued to climb to 36,000ft and was over the Arabian Sea about 500nm west of Dubai when the crew was informed about the incident, turned around and diverted to Mumbai. 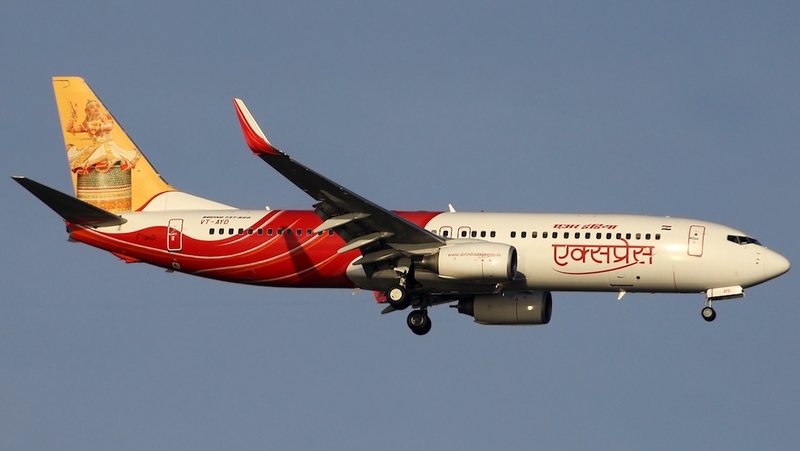 Air India Express said the two pilots have been suspended, with India’s Directorate General of Civil Aviation (DGCA) to investigate. It said the pilot in command was a captain with 3,600 flying hours on the 737, including 500 hours as captain, while the First Officer had 3,000 hours on the type. “The two pilots have been derostered pending investigation,” Air India Express said. I am surprised the cabin crew sitting at the rear didn’t feel the bump from the aeroplane hitting the wall. It would have been something unusual. You would think! Surely any impact with ground emplacements would automatically require a PAN call and a return to base. Fortunately they didn’t rip one (or both) of the under-slung engines apart or they would all be dead now! How did they manage to strike infrastructure 150m from the end of the runway? Then again, it was 1.30am local time, but still … incredible!